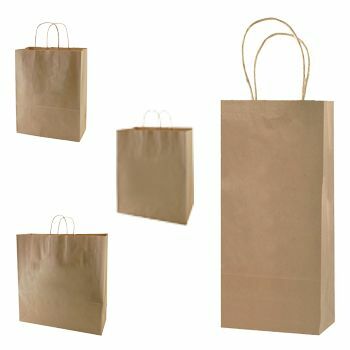 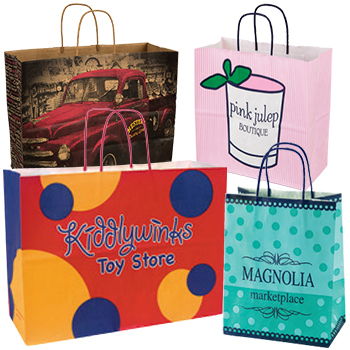 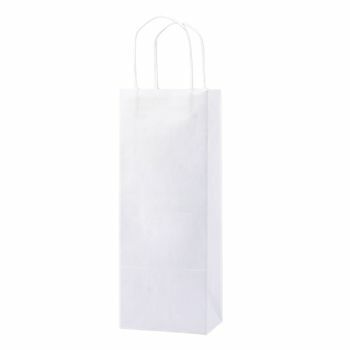 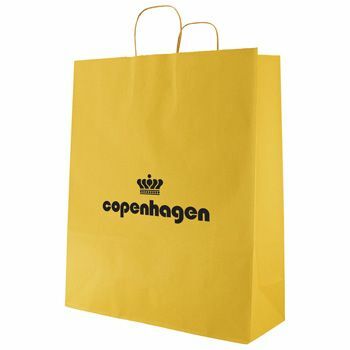 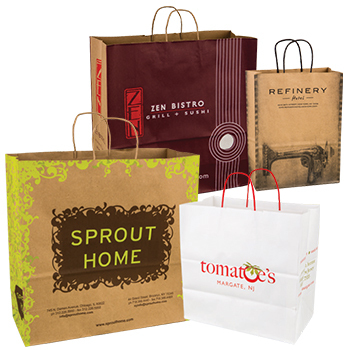 Kraft shopping bags are perfect for a great variety of packaging needs and are reusable and recyclable. 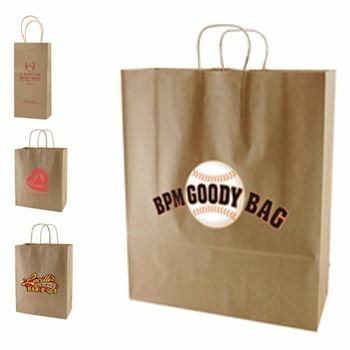 Eco-friendly, durable and easy to use, kraft shopping bags are sturdy,attractive and have twisted fiber handles which make them easy to carry. 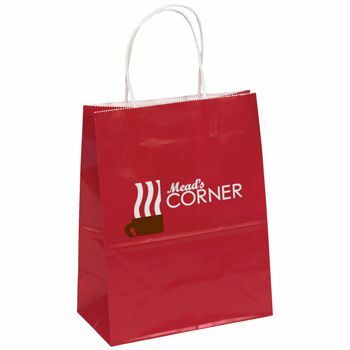 Perfect for retail shops, gift stores, boutiques and packaging carry out from cafes and restaurants. 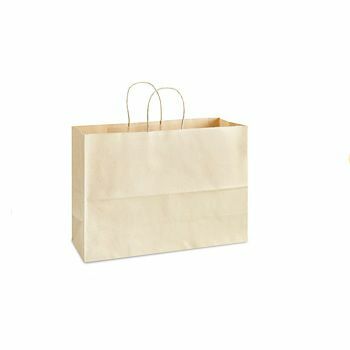 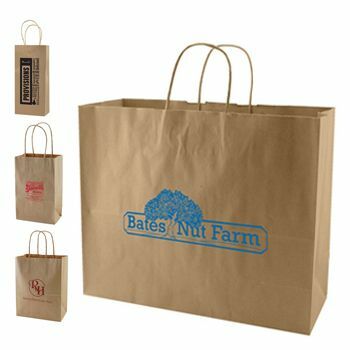 We offer our wholesale kraft shopping bags in white or natural kraft paper in a wide variety of sizes that will be sure to meet your packaging needs. 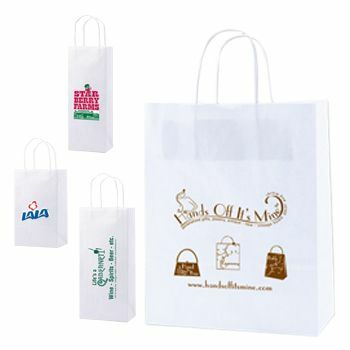 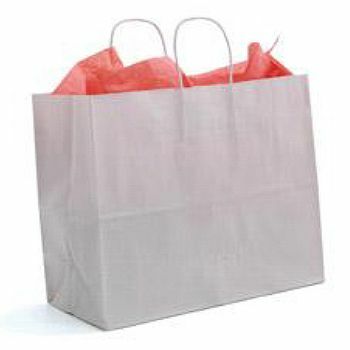 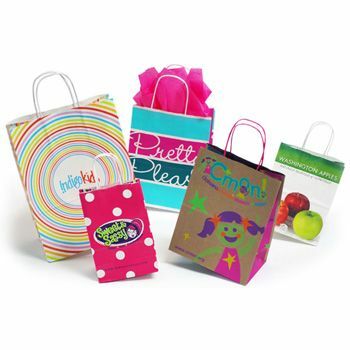 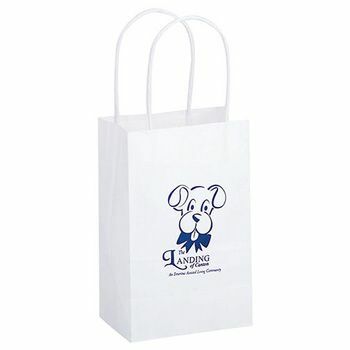 These bags are ideal as a marketing tool and can add value to your business when printed with your name and/or logo. 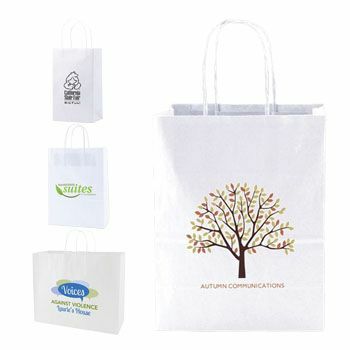 Personalized kraft shopping bags are a great way to show off your brand and gives your business a cohesive professional appearance to your customers.